Cargill will implement a phased investment plan to focus the business on the retail sector and key partners in food service. Cobham, UK – 6 November 2013 - Cargill will be implementing a phased investment plan to focus the business on the retail sector and key partners in food service. Over the next 24 -36 months, Cargill plans to invest £35 million to improve efficiencies, upgrade technologies and create a state of the art processing facility in Hereford. These investments will also enable Cargill to expand its capacity to process and supply fresh UK reared chicken. Cargill has already introduced controlled atmosphere stunning and upgraded the bird reception facilities in Hereford. The next phase is to expand Cargill’s chilling capabilities and hatchery in order to position the company for future growth. Whilst these projects are underway, Cargill will be working with local UK chicken farmers to look at how to continue to build a sustainable and long term chicken supply chain while increasing the number of home grown chickens available to the UK market. Once the investment plans are complete, Cargill will be operating one of the most efficient and competitive poultry processing plants in Europe. Herefordshire has been the base for Cargill’s poultry business in Europe for more than 50 years. Cargill is a leading supplier and innovator of primary and further processed chicken products to retail, food service and food manufacturing customers and their consumers. 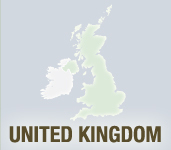 Cargill has production facilities in Hereford, Wolverhampton and Newent in the UK, and in France and Russia.